Did you know that 77% of consumers spend more time in venues with Wi-Fi and 63% spend more money? 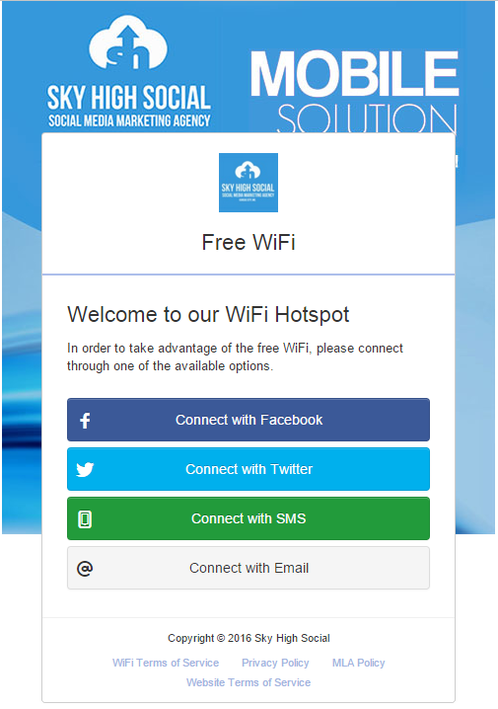 Sky High Social transforms your existing Wi-Fi network into a powerful marketing asset that builds your customer database, promotes your business and collects valuable insights. Your splash page is the custom portal through which guests connect to your Social Wi-Fi. We provide you with the tools to make it your own.  We help boost your social media presence by allowing your customers to connect with their Facebook and Twitter accounts. The ability to build targeted marketing lists. Collect, segments and store contact information from every guest who signs on to your Wi-Fi. In-store analytics that allow you to discover unique visitors, dwell-times and walk-by conversions, as well as uncover the success of promotional campaigns. Overall Foot Traffic: A snapshot of all Wi-Fi-enabled devices in your venue. New vs. Repeat Visitors: First-time visitors vs repeat customers. Outside Opportunity: Detect the number of devices passing outside of your venue. Gender: The ratio of male and female visitors. Visitor Network Trends: What other types of venues interest your customers. Visitor Duration: The length of time visitors spend in your venue. Daily Visitors: How many visitors were in your store throughout the day. Age: The ages of your visitors. 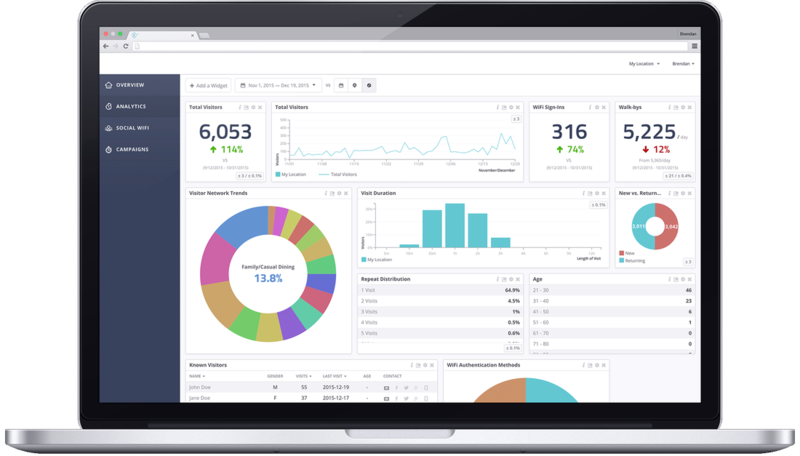 The Analytics dashboard is where you can view all of the data you've collected. View historical data up to one hour before the current time.